I have to admit to being disappointed by the last couple of albums from PJ Harvey. 2007's White Chalk was too subdued and monotonous for my liking. I had the exact opposite problem with 2004's Uh Huh Her, a record that I found too unfocused and raw. Thankfully, the forthcoming Let England Shake (out February 15th) has neither of these issues. 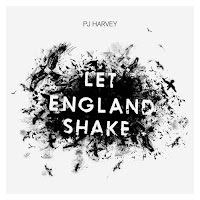 Let England Shake is Harvey's most varied and dynamic album in quite some time. She gives us a shadowy yet jaunty trip on the album's opening title track. "Hanging In the Wire" is a simple, lovely piano ballad while "Bitter Branches" builds into a frenzy ever so slowly. Harvey gives us a sultry low end on "In Dark Places". "The Glorious Land" is taut with intensity, but it never becomes smothering. There's an ominous energetic ebb and flow to "The Words That Maketh Murder", a song with a vibe that could easily fit in a show like The Black Rider. A handful of songs simple don't work for me. Both "All and Everyone" and "On Battleship Hill" aim to be haunting, but lack interest overall. Conversely, "England" is a scattergun mess, involving multiple layers of arrangements that fail to work with one another. It all culminates with "Written On the Forehead". Dark lyrics are backed by a World music arrangement, creating Harvey's first true masterpiece in the better part of a decade. Only time will tell if Let England Shake has the staying power of Rid Of Me or Stories From The City, Stories From the Sea, but the first several times through definitely have one leaning heavily in that direction. 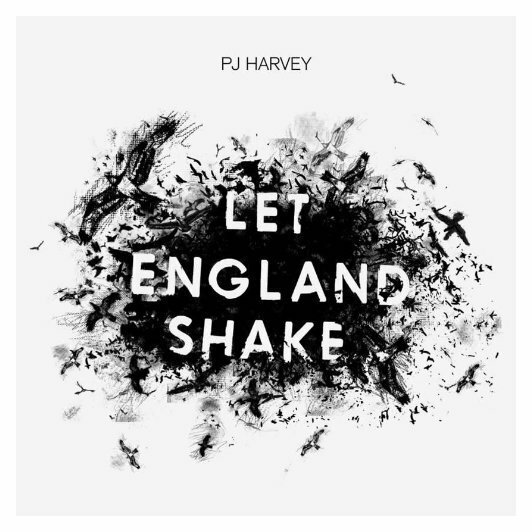 You can pre-order Let England Shake here. Best tracks: "Written On the Forehead", "Bitter Branches"